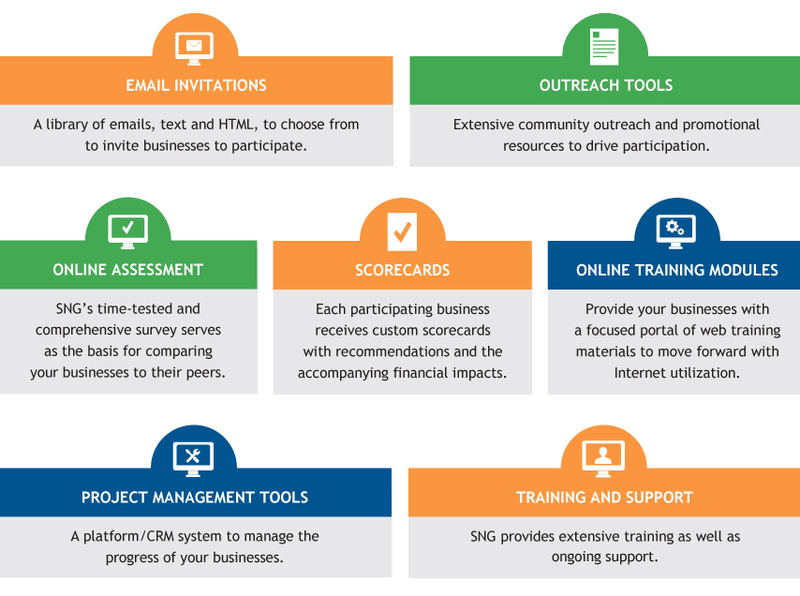 Small Business Growth Options | Strategic Networks Group, Inc.
SNG offers these powerful resources for a budget of every size, from the full-service Small Business Growth Program to the self-serve Small Business Growth Kit. 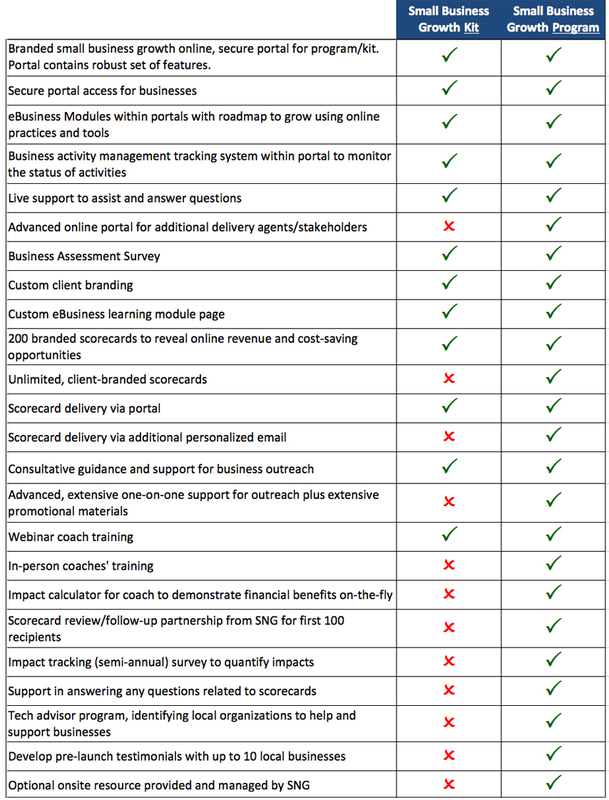 Both feature and include the powerful DEi Scorecards, showing businesses the actions they should take and the revenues that can be realized by action. SBGP and SBGK: What’s included? For more information about the Small Business Growth Program or Kit and pricing, please contact us!